The event of Karbala marks the greatest sacrifice for the sake of God in the human history. The minute and stunning details of this great event have been written and survived from the very first day by the eye witnesses. 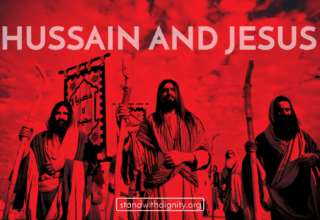 For the last fourteen hundred centuries, the battle of Karbala reflects the collision of the good versus the evil, the virtuous versus the wicked, right versus the wrong, and the collision of Imam Husain (the head of virtue) versus Yazid (the head of impiety). 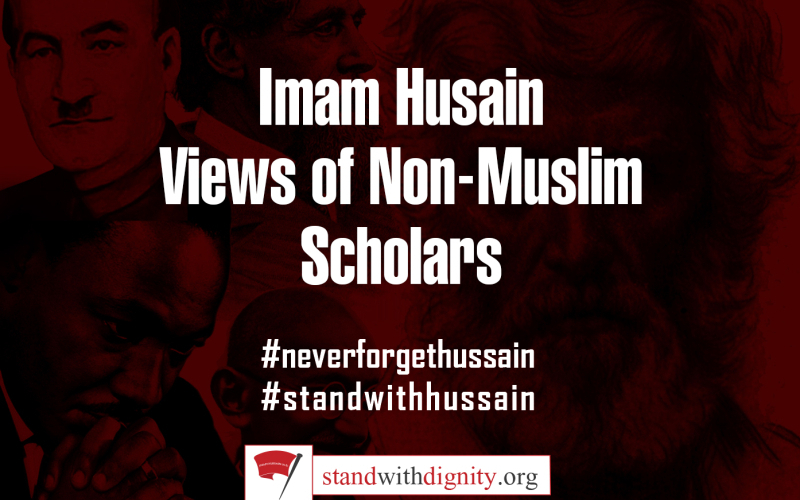 As the Imam of the time and true representative of his grandfather Prophet Muhammad (S), Imam Husain (A) stood up against the tyrant of the time to safeguard an protect Islam and guide fellow Muslims. On the other hand, the staying power of the rulers (Muawiyah and his son Yazid) depended solely on the might of the sword. They used brute force to rule over the Muslim empire even by all possible illicit means. Such an everlasting victory can only be achieved by the one who totally believes and trust in the Almighty God. 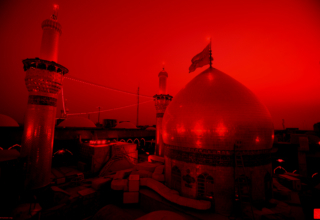 History has seen numerous massacres of innocent people, but the tragedy of Karbala is one of the few where men, women and children voluntarily allowed themselves to be subjected to hunger, thirst, humiliation and death on the burning sands of Karbala because they believed that Imam Husain (A) stood of righteousness. Little wonder that for over 1400 years Muslims, have been nurturing the tale of Karbala in their hearts like an open wound, lest they should forget the supreme sacrifice of Imam Husain (A) and his followers. Great spiritual leaders are known to make great sacrifices, but at Karbala, common men and women with infants at their bosom, their hearts and souls aflame with righteousness, chose death rather than evil and weakness. Such was the greatness of Imam Husain (A): such was his spiritual power, which could uplift common mortals to heights of supreme courage and sacrifice. The tragedy of Karbala took place in 680 AD on the banks of the Euphrates in Iraq, but Karbala has a universal appeal and in today’s climate of violence, it is more relevant than ever. The tragedy of Karbala and its spirit of non-violent resistance and supreme sacrifice has been a source of inspiration to the likes of Mahatma Gandhi and Pandit Nehru. On the sight of such sacrifice and altruism, many intellects and philosophers around the world were touched by the greatness of this man, understood the core of his mission, and grasped the essence of the school of Karbala. 72 of Imam’s kinsmen accompanied him, and all were slain in the land of Karbala to achieve righteousness. He not only gave himself up but everything possible in the way of God, including his few months old baby Ali Al Asghar, and with unyielding steadfastness. Young and old, women, men, children and infants… inseparable despite the hunger, thirst, heat, torture, and death they were subject to.. 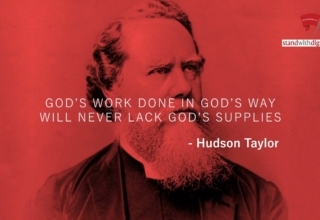 Still unyielding, and their hearts and souls with righteousness chose death rather than evil and weakness. Such are the principles that feed and nurture the hearts of the Muslims who over the past 1400 years have been reviving the epic of Karbala. 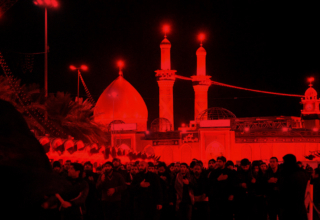 There is a saying that “Every Land is Karbala, and every day is Ashura”, yes indeed. 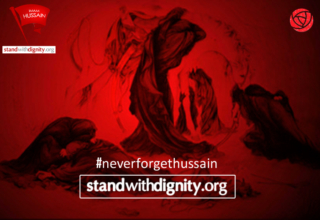 Husain fought for justice, freedom, truth and enlivening human merits. But these are the same concepts we live today, those that our ancestors lived earlier, and those that generations to come will live tomorrow, because these concepts never become obsolete, never! 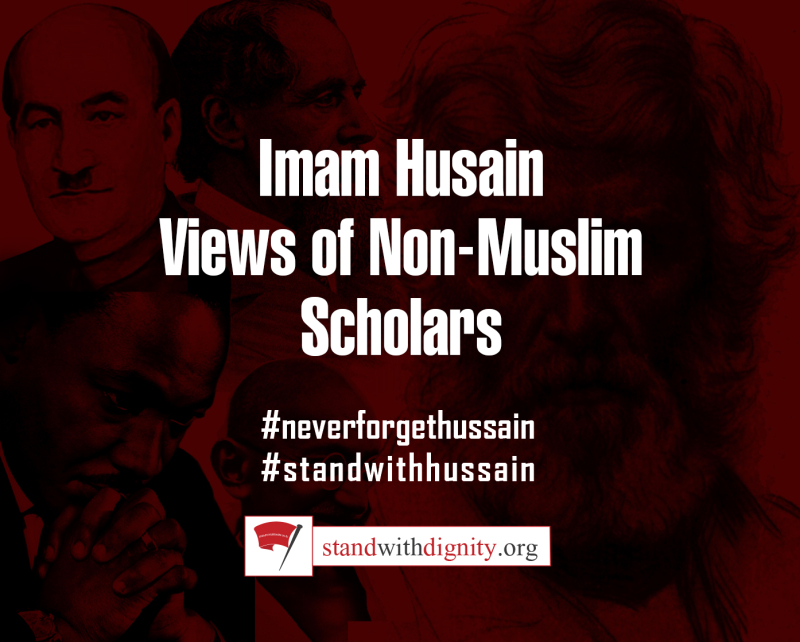 Lessons provided by Imam Husain are lessons for today, as the world lives hegemonic and colonial schemes, witnesses thousands and thousands of innocents die over wars of greed while only a few fight for virtue.